The challenge of taking and posting a photo every day of the year continues. My parents have been away so I have been looking after their house. 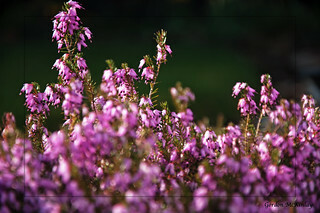 I noticed how bright and vibrant the heather was looking in the spring sunshine this afternoon. Hence the closeup.